With currently about four hundred residents, Faro is a small but flourishing Yukon community looking toward moderate community growth in the future. Faro has an excellent community infrastructure with good quality amenities that would easily be sufficient to accommodate more than fifteen hundred people. Construction of the town site was started in 1968. Dubbed "Faro" for the gambling card game of the same name, by 1969, there were a number of houses built and ready for occupancy. Then disaster struck. A forest fire swept through the newly built town, destroying all the houses except a handful. The mining company, Cyprus Anvil cleared the debris and rebuilt the town. For years afterward, Faro was not a very attractive community, nestled in the midst of all the burnout. Now the mine has closed down for good and the reclamation is in progress. Today, the Town of Faro has approximately 400 inhabitants. Thanks, in a large part to tourism, Faro's future looks bright. For more information, visit www.faroyukon.ca. Del Van Gorder is a pre-K to Grade 12 school with 45 students located in Faro, Yukon. We offer a welcoming and inclusive environment, while celebrating the unique culture of the north. We are community-oriented, values-based, and academically-focussed. Approximately 15% of our students are First Nations, and an additional 15% of our students are English Language Learners (ELL) coming from a host of other countries. We have a very large facility and have an excellent student-teacher ratio. For more information about the school visit dvg.yukonschools.ca. 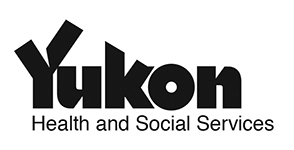 The funding that the school receives from Yukon Food for Learning Association is provided by Yukon Health and Social Services and is used to operate a snack program. The majority of all Del Van Gorder students live close to the school and are able to go home it they have forgotten their lunch. The school keeps a supply of snacks and fruit on hand for any hungry students.